The free City Loop bus trial is one of the initiatives to improve public transport services for all areas of Canberra. Other initiatives include a direct Weston Creek to Civic bus service, and the most significant infrastructure investment in Canberras history - Capital Metro Light Rail Stage One. Significant work is being performed on the ACTION timetable and routes using the existing bus fleet, and the 30 new buses being delivered this year. A new timetable and route package is expected to be announced shortly. A major benefit to bus services and bus users for all of Canberra will be realised when Capital Metro light rail begins service. One million bus kilometres a year will be released from the existing bus rapid route, that can be allocated all across Canberra. After a week of the free City Loop bus trial operating, Minister Meegan Fitzharris released this media release on July 13 discussing early patronage figures. “I am pleased to announce that in its first week of operation, the free City Loop recorded 1,233 boardings. This is a great result for this brand new service, and shows people want to move around our city in new ways,” Minister Fitzharris said. “Passenger boardings were at their highest during the hours of 12 pm to 2 pm and 5 pm to 6 pm, which demonstrates people are moving around Civic more at lunchtime and in the evenings. “The free City Loop is a convenient ‘turn up and go’ weekday service for commuters and connects with high frequency Red and Blue Rapid services and buses to the Parliamentary Triangle. The service also supports local businesses and helps Canberrans travel around popular areas in the CBD for free, including Braddon, New Acton, the Canberra Centre and ANU. Minister Fitzharris today welcomed the Canberra Liberals’ support for a City Loop bus service, but said only Labor was committed to keeping the service free. “The Canberra Liberals have today released their own city loop plan. It’s not free, it’s less frequent, it looks like a very long journey, and they project fewer people will actually use it than currently use our free City Loop. 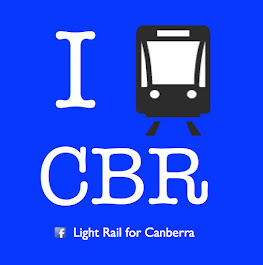 “You can’t trust the Canberra Liberals on public transport. They have never had a consistent public transport position, except to tear up a contract for a project that they say we will need in 20 years. “I’m interested in how we encourage more people to use public transport, rather than putting up barriers, which is what the Canberra Liberals plan does. “As people become more familiar with the free City Loop service, I think it will become even more popular, and we’ve already had great feedback on the City Loop from a range of people and stakeholders, including the ANU. With more than 5,000 students living next to one of the City Loop stops, it is likely to be a very popular way to move around the CBD. “The free City Loop service, launched on Monday 4 July 2016, links highly-frequented areas of the CBD such as the City Bus Station, Canberra Centre, Braddon precinct, Northbourne Avenue, the Australian National University and New Acton precinct. “The launch of the free City Loop coincided with the launch of the new Transport Canberra agency, which is responsible for integrating buses with the new light rail, developing a single ticketing system and new coordinated timetabling, active travel upgrades and transport innovation. “The City Loop is one of the ways the ACT Government is making public transport more frequent and easier to use. It’s all part of our plan to keep Canberra moving. “The ACT Government is continuing to build an integrated, city wide transport network with a $17 million investment in the 2016-17 ACT Budget for new transport services, including $10 million for 20 new buses and a trial of electric buses,” said Minister Fitzharris. Transport is one area the ACT Government has made a priority, and it is a policy area the Canberra Liberals have no real expertise or understanding of. 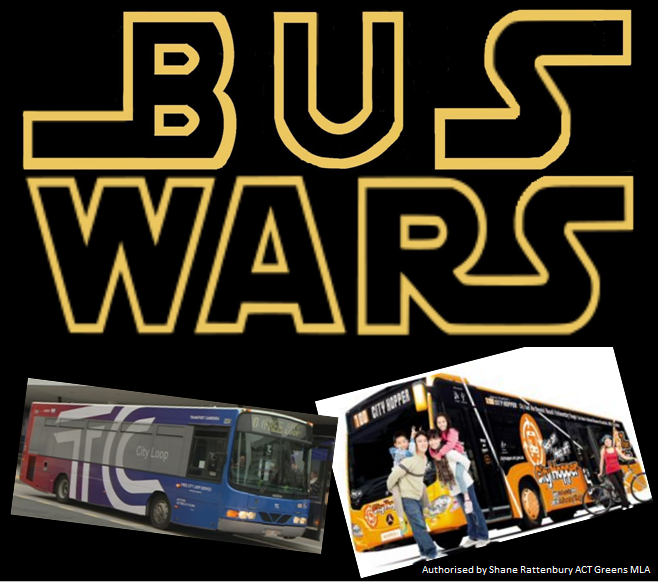 Although the free City Loop bus service has only been operating for one week, the Canberra Liberals have hastily released proposal for a less useful bus loop called City Hopper, that competes with an existing private bus operator. A long, long time ago, in a galaxy far, far away.... Actually it wasn’t that long ago and it was right here in Canberra. The Greens were the only party championing for better public transport in the face of criticism, and even mocking and condescension from the Canberra Liberals. 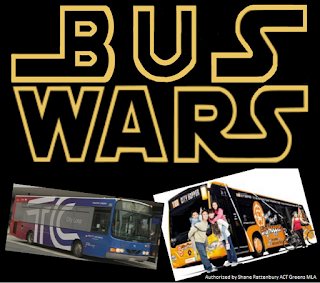 It’s great to see the debate shift so far that we are now seeing a “bus wars” of one-upmanship as all parties recognise the importance of having a good public transport system across Canberra.